It begins with commitment—providing our customers with the highest quality in fencing and customer service in the field. 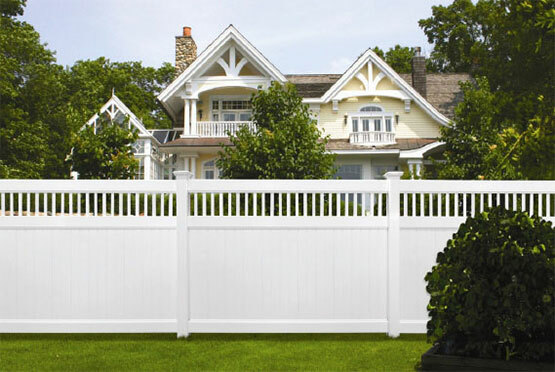 For over forty years, Atlas Fence has been beautifying Central New York and the surrounding areas with superior fencing services. We’re a Syracuse fencing company that works across the state and most of the New England area. Our work with homeowners, general contractors, architects, and security agencies stands out—not only setting us apart, but our clients as well. Whether you’re seeking security or privacy, Atlas will install your fence correctly and with care, ensuring every step of the process is done right. Whether you need a chain link fence, wooden fence, or electronic gate, the Atlas Team will give you the finished product you need for your outdoor space. From the first phone call to the final touches, Atlas Fence will provide dedicated customer service. We’re not happy until our customers are, and we won’t walk away from a job until you’re satisfied. Every measurement, post, and picket will be precisely what your fence needs, so you can trust it will be installed the right way. We never use subcontractors, and every installer is a full-time staff member devoted to making your investment last for years. We never take short cuts or do a job halfway and pride ourselves on using only American-made materials. Our Sales team will provide you with the material recommendation that best suits your needs and ensures functionality. 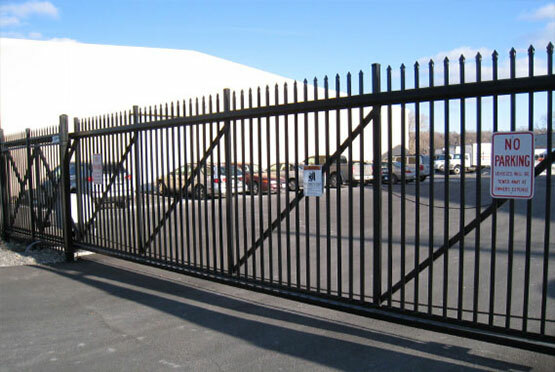 Our commercial fencing includes work on highways and sport facilities, and our residential fencing includes work with ornamental fence, pool fence, and PVC fence. Our devotion stems from our commitment to the community. Atlas Fence has worked with charity organizations like The Jim and Juli Boeheim Foundation, The Humane Association, and local school districts. Every project is a manifestation of our care for the community and dedication to quality. Trust the team at Atlas Fence to elevate your outdoor space! Our fences can define your property, ensure privacy and protection, and be an elegant fixture sure to impress. Contact us today, and we’ll get to work on beautifying your surroundings! Art and John did a great job. We’ve had a lot of unsolicited comments on how great it looks, always followed by Who did it? Excellent and prompt service. Thank you! Every contact we had with Atlas Fence; on the phone or in person, was professional, courteous and informative. Every promise and appointment was kept, and we are completely satisfied with our fence and gate. The installers provided us with good information for future maintenance and care. We have already recommended Atlas Fence to one neighbor and will continue to do so whenever we have an opportunity. Atlas Fence is an outstanding business. They are always reliable. The work is always just beautiful!!! I have never dealt with any person from Atlas Fence that wasn’t exemplary, neat and very, very courteous. We couldn’t be happier with our Atlas experience. The installers were very professional and the quality is exceptional. We will definitely recommend your company. Thank you very much! © 2017–2019 Atlas Fence. All Rights Reserved.